We Listen. We Care. We Fight For Our Clients. Many personal injuries are caused due to the negligence of someone else. 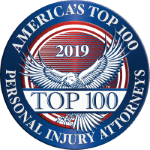 Studstill Firm, LLP represents everyday people suffering from severe physical harm in Valdosta, GA, Nashville, GA, and the surrounding the areas. When you turn to a trusted Valdosta injury lawyer at our firm, we will tirelessly advocate on your behalf in hopes that you’re fairly compensated. Right is right, and wrong is wrong. More important than the money is the justice you’re due, requiring the responsible party of your injury to be held accountable by the system. Have a loved one who wrongfully died at the mercy of someone else’s actions? We’re here to help. Our family-run firm is dedicated to treating our clients like family. Being reliably accessible isn’t an option when you hire us. We make ourselves available to quickly address any questions or concerns you might have. Going above and beyond to provide the best legal services you deserve, our hard working team will leave no stone unturned when fighting for the recovery damages rightfully owed to you. Whatever we can do to have the upper advantage in your case, will be done. Let Studstill Firm, LLP evaluate your case. Contact (229) 515-8900 today to get started. they did not have a problem with the questions or time it took to explain. Would highly recommend their services to anyone! Our stellar legal team is passionate about achieving favorable outcomes for personal injury victims seeking justice from the responsible parties. We have advocated for our clients in a broad range of personal injury matters. 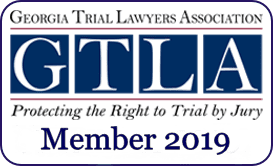 As an established firm with a proven track record for success, personal injury victims throughout the State of Georgia have depended on our comprehensive guidance, and insightful knowledge to navigate them through their personal legal matters. The defendants and insurance companies who have proceeded against our past clients have witnessed our relentless drive in standing up on their behalves. Giving up is not an option when we’re chosen to be your legal advisor—we fight until the end. Watch this video to get a glimpse of the invaluable knowledge we’re backed by. What is uninsured and underinsured motorist coverage…and do I need it? Can I bring a lawsuit for a death cause by someone else? Submit the details of your case to receive a free consultation.